"We should never give up on our dreams." 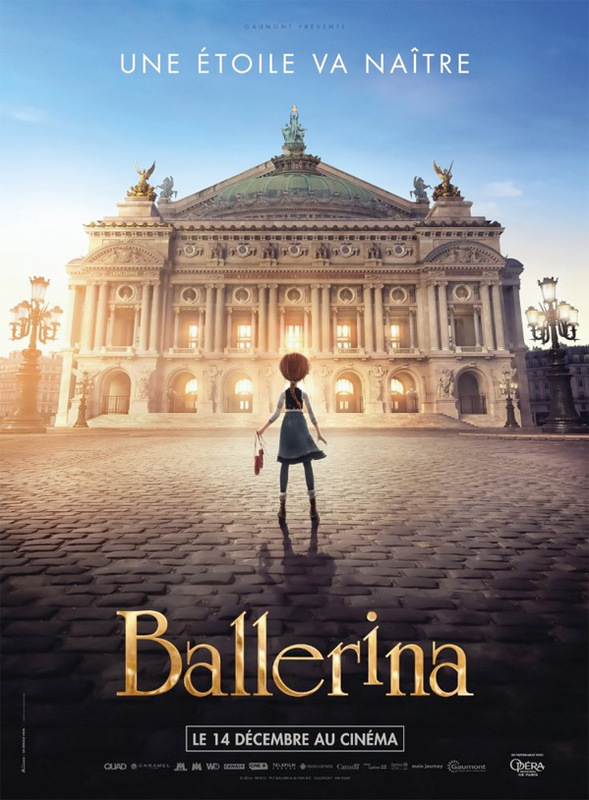 Gaumont and Entertainment One have debuted a full UK trailer for the French animated film Ballerina, about a young red-headed orphan girl who dreams of becoming a ballerina in Paris in the late 1800s. The English-language version of the film features Elle Fanning as the voice of Félicie Milliner, as well as Dane DeHaan, Maddie Ziegler and Carly Rae Jepsen providing other voices. This doesn't compare to Disney or Pixar, but it does have its charms and it does have a fiercely passionate inspirational side to it. If anything, this reminds me a bit of Frozen with all the dancing around and spinning. The story seems to be a bit cliched, but maybe there's something more to this hidden within. Set in 1879 Paris. An orphan girl dreams of becoming a ballerina and flees her rural Brittany for Paris, where she passes for someone else and accedes to the position of pupil at the Grand Opera house. Ballerina is co-directed by French filmmakers Eric Summer (of TV work including "Interventions", "Profilage", "Sous le soleil", "Dark Realm") & Éric Warin (making his feature debut after the animated short Alex and the Ghosts and working in character design previously). The screenplay is written by Carol Noble, Eric Summer and Laurent Zeitoun. The film is set to open in France this December, arriving in UK theaters on December 23rd. The Weinstein Company will release in the US, but no exact date has been set yet. Cool? Feel for dat friend zoned guy. I dunno. Story sounds pretty generic. Completely uninspired. Obviously tailored to be sold in the US... Azur et Asmar was a great and original French anime.